I know I'm biased...but swoon! I figured the best way to introduce you to Jo and Nate is to let you start their love story, so I'm hosting some mega reveals! This week, you'll get the first chapter which is in Jo's POV and next week I'll be sharing the second chapter which is told by Nate! 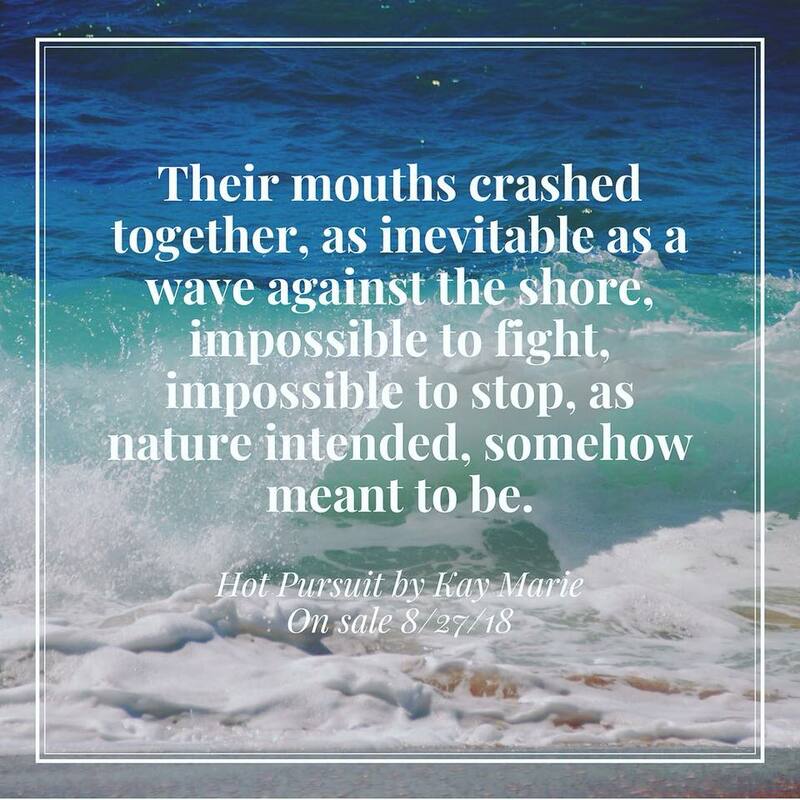 And don't forget, you can pre-order Hot Pursuit for the special discounted prince of $0.99! Yay! The kitchen resembled a war zone. Flour hung in the air like a slow-motion explosion. Dirty bowls littered the counter. Crumbles of dough spotted the floor. Whisks and spatulas floated in the water-clogged sink. But Jo hardly noticed. She was transfixed by the little mounds rising higher and higher in the oven. Jo pursed her lips, thinking. Something about that wasn’t quite right. No, wait. She shook her head. That doesn’t work. Jo chewed her bottom lip as she watched the pie crust start to brown. The sugar-butter glaze she’d decided to add at the last minute had been the perfect touch. Now she just needed a name. It was all in the name. Jo still held that she invented the cronut long before it became the newest fad. But she’d called it the doussant. Because, well, it was a doughnut and a croissant… a doughnut-croissant… a doussant. Long-festering resentment brought a sneer to her face. The freaking doussant! Cronut. So simple. So annoyingly catchy. Jo leapt from the marble counter of the center island, sending another wave of flour into the air as she landed on her feet and rushed across the tile floor to open the stainless-steel door. A wave of tangy-sweet goodness hit her nose, making her eyes flutter closed with pleasure. Her lobster oven mitts were still on her hands, so she reached into the heat and grabbed a baking sheet in each claw, then nudged the oven closed with her hip. And though she knew she should wait, her impatience won out—as it usually did. 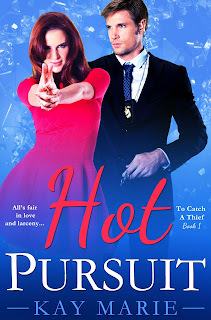 Jo juggled the coopie in her palms, shifting it from one to the other so it could cool for a moment before she took a satisfying bite. Sinking her teeth through the flaky pie dough, she sighed as the ooey-gooey chocolate chip cookie stuffed inside hit her taste buds like a blissful, sugary explosion. Her mind was already spinning with the million directions she could take this. Pie crust stuffed with caramel apple bars. Pie crust stuffed with rainbow sprinkle sugar cookies. Pie crust stuffed with molten chocolate brownies. Jo dashed to a stool and hopped onto the seat as she slid her laptop across the counter. She flipped the screen open and immediately began typing. @TheBakingBandit: Guys, guys! Are you awake? Are you there? I have it. I have the idea for my future bakery. This is it. For real this time! Jo glared at the screen as she took another bite, then perked up when she saw a thought bubble appear on the group chat. @TheBakingBandit: I know, I know, but I mean it this time! @Sprinkle-Ella: I’m here! I’m here! What’s the new idea? A huge grin spread across Jo’s face as she typed the words, giving her creation a life outside of her own head and this isolated kitchen sitting smack-dab in the middle of nowhere. Well, not nowhere. The kitchen, and by definition the house, sat on a ten-acre private island off the coast of the Bahamas—her father’s personal paradise. They’d lived there for over a decade, ever since her mother passed away the summer just before Jo entered high school. Her childhood hadn’t exactly been normal. But her father was Robert Carter, one of the world’s most renowned art thieves, and Jo, for lack of a better word, was sort of his protégé. So normal had never been in the cards anyway. She frowned at her computer. @TheGourmetGoddess: What the hell is a coopie? @TheBakingBandit: I thought you’d never ask :) The coopie is a miniature pie crust stuffed with a delicious cookie! Currently munching on chocolate chip coopie goodness, but my mind is spinning! @TheGourmetGoddess: I never thought I’d actually say this, but that is a GREAT idea! @Sprinkle-Ella: OMG! Love! Send us your recipe so we can test it out! Jo reached for the papers scattered across the countertop and gathered them into a pile, scrambling to put the recipe into a more coherent format. A smile widened her lips, tugging at her cheeks and spreading them until it was almost painful. But she loved moments like this—when her creative juices were flowing, yes, but also her time with these girls. Cyber friends, sure, but they were the best girlfriends she’d ever had. The three of them had met almost two years ago in an online forum for fans of The American Baking Championship. They’d bonded over their obsession with the runner-up (Jo still contested he’d been absolutely robbed! The little old lady who’d won had been the fan favorite by a landslide, but Jo knew an act when she saw one. Granny had evil-genius in her eyes, no doubt about it.). And well, the fact that they were the only three women under forty in the forum. After the show ended without being renewed, she’d invited them to their own little group chat, and the three of them had been swapping recipes and gossip ever since. @Sprinkle-Ella’s real name was Addison Abbot, and she worked at a cake shop in South Carolina, specializing in wedding cakes and fairy-tale dreams, obviously. And @TheGourmetGoddess was really McKenzie Harper, a trust-fund baby who’d forsaken the family expectations to become a pastry chef, and a fabulous one at that. She worked as a sous chef at a Michelin-starred restaurant in New York City. Well, they knew her as Jo Carter, Florida resident working in the family business, dreaming of something more. Mostly true, though the best lies always were. Her full name was Jolene Carter. The Bahamas were sort of close to Florida… Close enough, anyway. And they didn’t need to know that the family business was crime, just that one day she hoped to be free of it, doing what she’d always wanted—owning her own bakery instead. The corner of her lip perked. Jo finished typing up the recipe and pressed Send, then drummed her fingers against the counter as she waited for a response. Her eyes wandered to the edge of the screen, and she practically fell off her stool when she noticed the time. Her father and Thad, the son of his late partner and one of her best friends, would be back in an hour and she hadn’t done any of the recon she’d promised. The coopie had taken over her entire weekend. Jo jumped from her seat and raced toward the French doors on the other side of the kitchen. 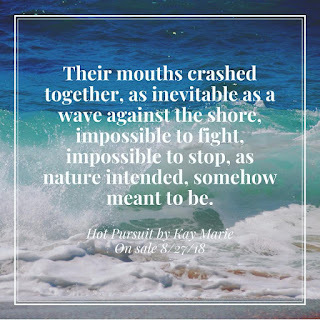 Her gaze flew across the pool deck, down the boardwalk, and along the entire length of the dock, then froze on the empty slip all the way at the end. She breathed a sigh of relief. They weren’t here yet. She had time. Jo glanced over her shoulder to the stack of coopies fresh out of the oven, ripe for the taste testing. Then she reluctantly tore her attention away, shifting it to the second laptop sitting on the kitchen table, the one she used strictly for business. Her father was an artist, and forgery was his greatest skill. But Jo hadn’t inherited any of his craft. No, her specialty was something very different—hacking. She hadn’t even realized it was a skill, or, well, a crime, until she’d been caught breaking into the middle school mainframe to change her schedule around, skipping French and Biology while adding extra sessions of Home Ec and Computer Science. She’d never seen her father so proud…or her mother so pissed. Now, at twenty-five, she’d graduated to more sophisticated techniques. And ever since that first punishment—a week-long suspension that, truth be told, felt more like a vacation—she’d never been caught red handed again. Pink, maybe. But she didn’t mind living on the edge. In fact, she thrived on the edge. Jo turned her attention back to the window, to the empty dock. Only, this time, something in the water caught her eye. A boat she didn’t recognize. And it could only mean one thing. Well, two. A lost fisherman—a really, really, incredibly lost fisherman. Or read the second chapter here!